The Ram Kangaroo shown left was cosmetically restored during 1993-1995 by the Sherman Register in conjunction with many others. 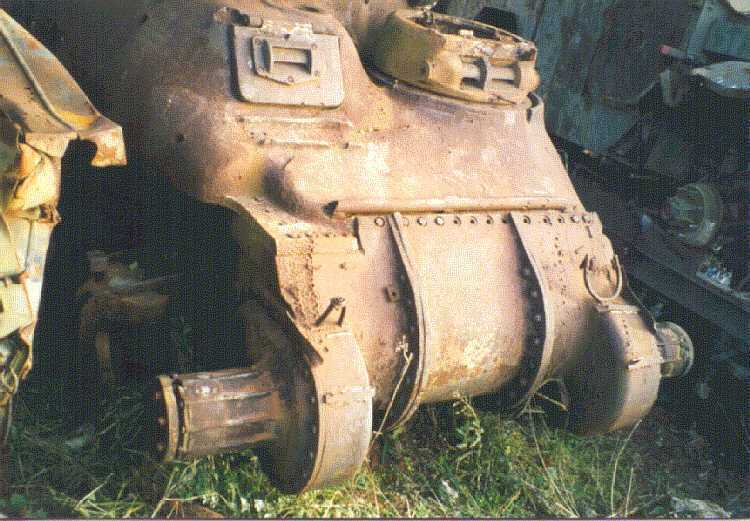 Most notable contribution was the wreck itself, donated by the Bovington Tank Museum in Great Britain. See Geoff Winnington-Ball's Ram Kangaroo Preservation page for the full story. On 5th May, 1995 it was dedicated as a memorial to the 1st Canadian Armoured Carrier Regiment at Mill, the Netherlands. In attendance of some 50 Canadian veterans and many others a former Kangaroo driver of the Regiment, Arthur Bell, unveiled a plaque. During the preparations for the Ram Kangaroo monument at Mill, we came across another restorable Ram Kangaroo. It is shown on the left while on a range in England in the mid-1980s. It was bought by someone who was involved in the Mill project and who was caught by the 'Kangaroo-bug'. Just when we thought there really were no restorable Kangaroo's left, we came across yet another one. 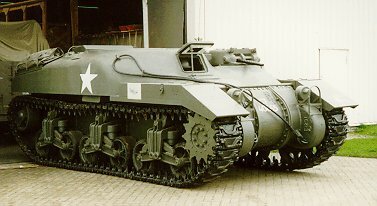 It is pictured left, seen before it was shipped to the Netherlands. Although it is in a worse shape that the two above, it will no doubt be restored in due time. For links to more information about the Ram Kangaroo or the 1st Canadian Armoured Carrier Regiment see the links page.